Youth 10 Dance Champion in Belarus; Representative of Belarus to compete in the World Dancesport Federation ( only two couple per country). Studied Ballroom education in the University. 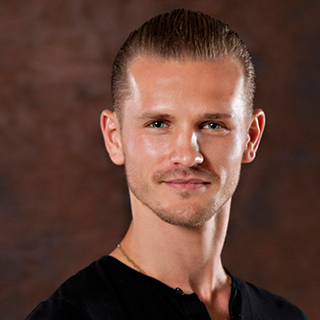 Dmitry is not just an excellent performer, but also a great teacher. Renee grew up in Virginia Beach and is a graduate of Kellam High School. She has a Bachelors degree from Old Dominion University in Management Information Systems. She worked for Newport News Shipyard and Hospital Data Corporation as a computer programmer/analyst. Renee has been married to Robert Broermann for 31 years, who is also dancing this year. Fortunately, she was able to retire early and be a stay at home mom and raise their two children, Nicholas and Elise. 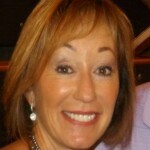 Renee has always loved to dance and is looking forward to the challenge of learning ballroom dancing. As a long time a member is Bayshore Circle of Kings Daughters and Sons she is currently Chairman of their 20 th Annual Play for the Children Tennis Tournament with the proceeds benefiting local children’s charities. She loves being outdoors and enjoys many activities including competitive tennis, golf, gardening, and boating.